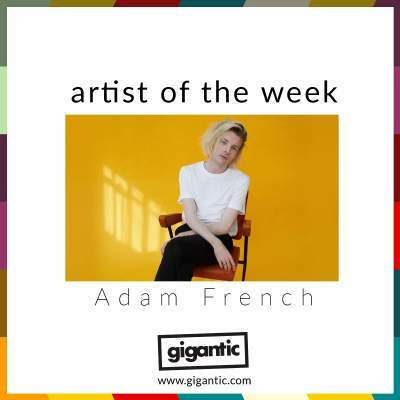 Adam French is the 23-year-old songwriter from Congleton fast becoming a worldwide sensation. The self-taught multi-instrumentalist writes complexed and stirring songs which reach deep into his own experiences and creates intricate melodies and heartfelt moods. Having first worked on the local gig circuit, playing around the clubs and bars of the North West, he has subsequently moved down to London which has rapidly raised his profile and led to many more gigs around the UK and even further afield having now played across Europe and even so far as USA and Africa. Having played to so many people in such a short time, there is a huge interest in whatever French does next which has led to him performing on Communion Live and for BBC Introducing which has generated a growing fanbase who eagerly await his debut album ‘The Back Foot And The Rapture’ which comes out this year. Since his move, French has benefitted from many prominent support slots having opened for the likes of Jade Bird, Jacob Banks, Nilüfer Yanya, and Freya Ridings plus he also appeared as part of the line-up of such prestigious festivals as Latitude, Reeperbahn, The Great Escape, Reading \\ Leeds and Festival #6. All these experiences were a great source of exposure for the emotive musician and helped him attract larger audiences to his own shows. French has also made regular trips to the studio and has brought out two EPs including ‘Face To Face’ which was packed full of innovation and first hinted at the possibilities he has in store, plus ‘Weightless’ which starts with the airy yet intimate title track and also his very unique take on the classic indie disco dancefloor filler ‘The Rat’ by The Walkmen. This year sees the release of his highly anticipated debut album ‘The Back Foot And The Rapture’. He has already brought out the impassioned single ‘Wanna Be Here’ which received huge accolades from the likes of CLASH and Coup De Main which all aided to receiving 80,000 views on Youtube in the first week of release alone. It also includes the pained song ‘The Only Living Thing’ which is accompanied by a video that explores the singles themes of heartbreak features Charley Palmer Rothwell (Dunkirk, Darkest Hour) as seen in out #NewMusicFriday blog last month. ‘The Back Foot And The Rapture’ is released on 08th of March on CD, MP3, vinyl and will be available on streaming platforms. Adam French will be promoting his fantastic new record by heading out on tour the same month to rocket around the UK before heading off to Ireland the following month followed by a date in the Netherlands and then three nights in Germany. Adam French tickets are currently available.